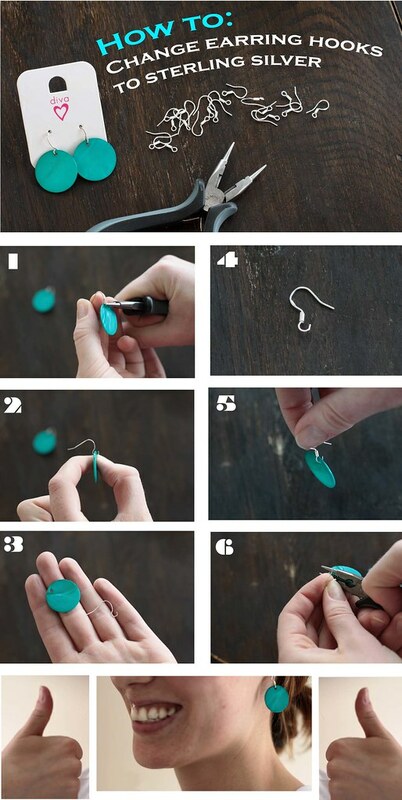 This is such a fun way to make earrings. Pendant Charm Necklaces tend to have really unique and lovely pieces on them. The next time you come across one you like, or one on sale, buy two! 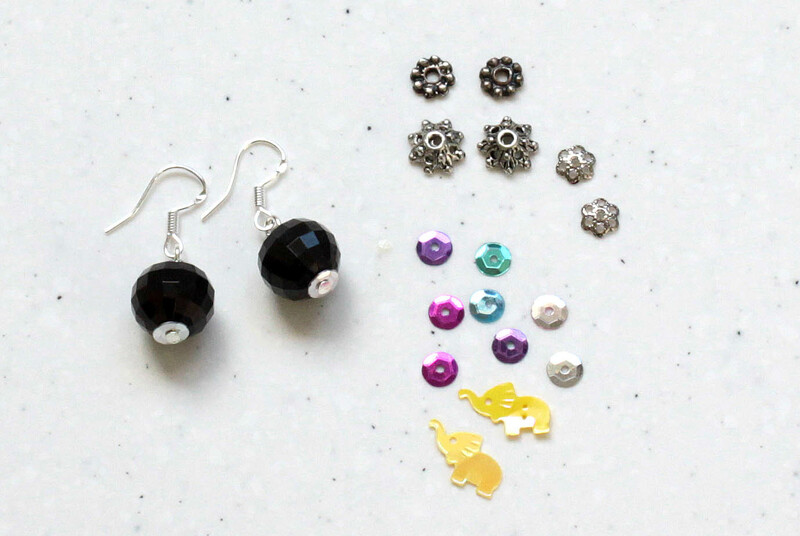 and end up with lots of one-of-a-kind earrings! 3. 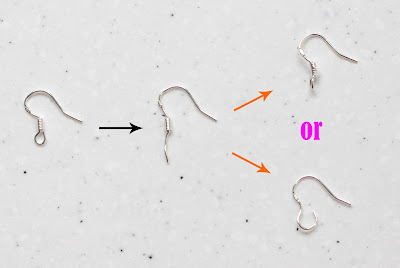 Using a second pair of jewellery pliers, open any of the jump/split rings. Jump rings are easier to open using two pairs of pliers. If you only have one pair you can press the rings back into the charms and they should open fine – or just cut them open! 4. Remove all remaining charms. Add hooks and it’s good to go! For more information about attaching hooks see my previous post. I bought these necklaces from Kmart for $9 each. Including the cost of hooks, that’s 12 pairs of earrings for around $20! 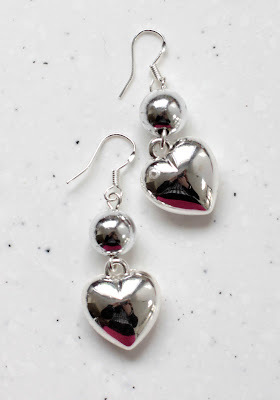 As the charms aren’t designed to be worn as earrings, some of them may be facing the wrong way for the hook or be too thick to fit through it. 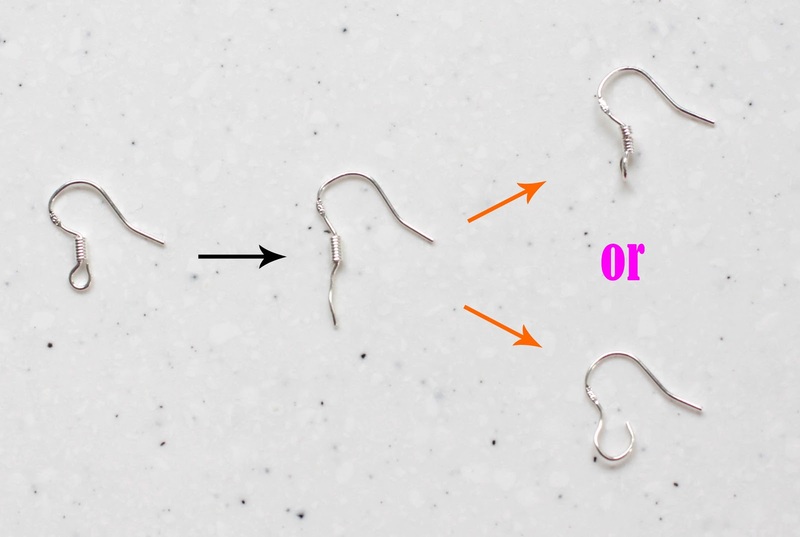 You can work around this by manipulating the size or direction of the hook’s loop. 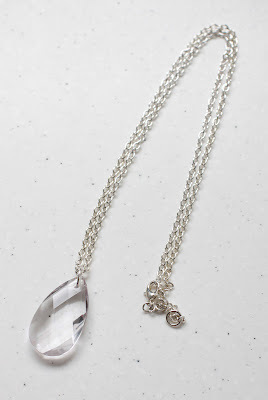 Simply straighten out the wire at the end up the hook using the jewellery pliers. It doesn’t have to be perfectly straight to look ok. There are specific pliers you can get for straightening metal called nylon jaw pliers. I don’t have a pair myself. To change the direction of the loop, simply grab metal at the end and bend to one side. To make a larger loop you need to remove any of the beads or coils from the base of the hook and curl the wire back to form the desired size. 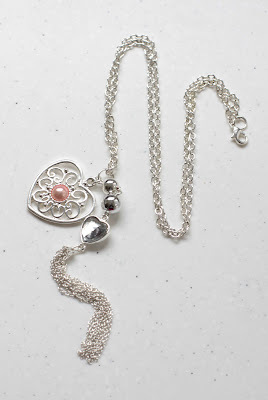 If the top of the charm is still too large you can always insert a jump ring before attaching the hook. Combining 2 or more of the charms – or combine with other beads. Selecting some of the charms to create your own unique necklace design. Make a bracelet using some of the charms. 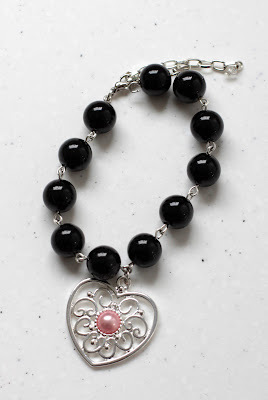 I made this by linking black beads on head pins then attaching the charm with a jump ring. 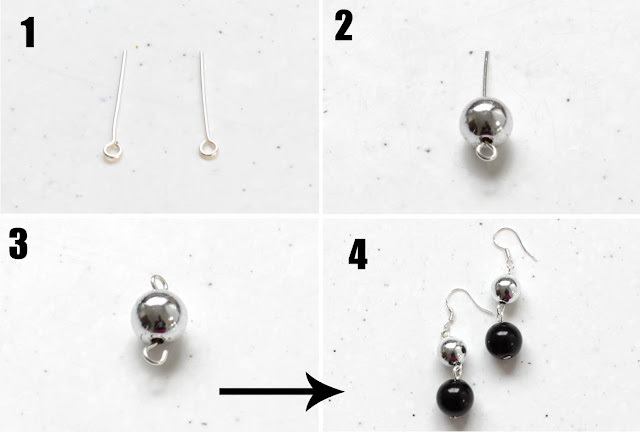 See this post to learn more about looping beads. Solutions for large and heavy earring discomfort. I love larger earrings but their weight can hurt my ears. Occasionally catching them in things also scares me that I might loose an earlobe. For quite some time I avoided them altogether until recently I discovered a good solution to the issue. These are sterling silver clip-on findings. They are really good quality and much gentler than the majority of other clip-ons. They have a firm, solid grip but don’t hurt my ears or make them look red while I’m wearing them. I wear them to work for periods over 7 hours and forget I have them on! When I take them off I will have a slightly pink dent where the clip-on has been which usually lasts about half an hour – sometimes a weird feeling too as my earlobe returns to shape. I’m in Australia and I purchased them from Over The Rainbow online for $20 (these are the ones pictured). Here is the exact page. I only need one pair to share between all my earrings as it’s so simple to change them (for information about how to change earring findings over see my previous post) I have also seen them at Fire Mountain Gems and Beads which is a US site. 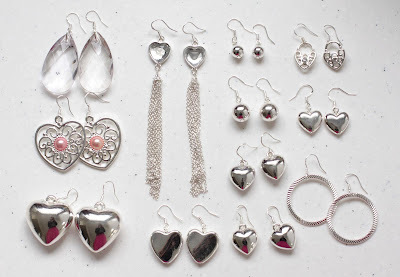 Remember silver plated is not the same quality as sterling silver though. I am yet to discover a pair of good quality gold clip-ons. I imagine they are out there, probably fairly pricey but would definitely be worth a shot. You can always try painting the outside of the silver with gold/brass nail polish – this has worked well for me. *UPDATE – they now sell gold filled at Over The Rainbow. They are $24 a pair. 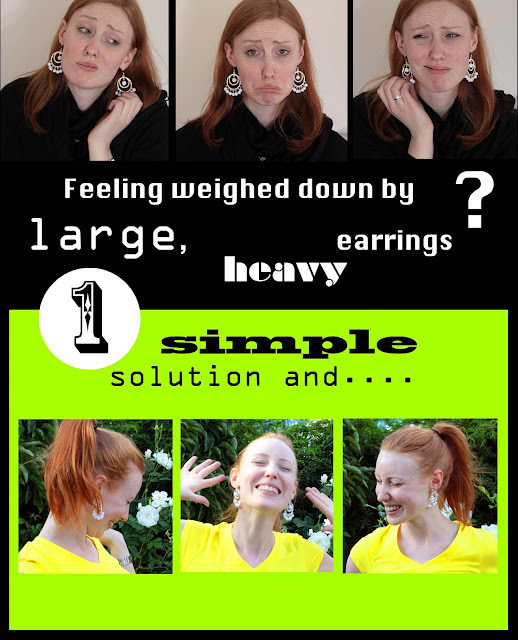 PS: Earrings in photo are some I made – and they aren’t actually heavy! I wear them with the clip-ons due to their size. I made them using plastic white beads and a simple chandelier finding I got at Spotlight. 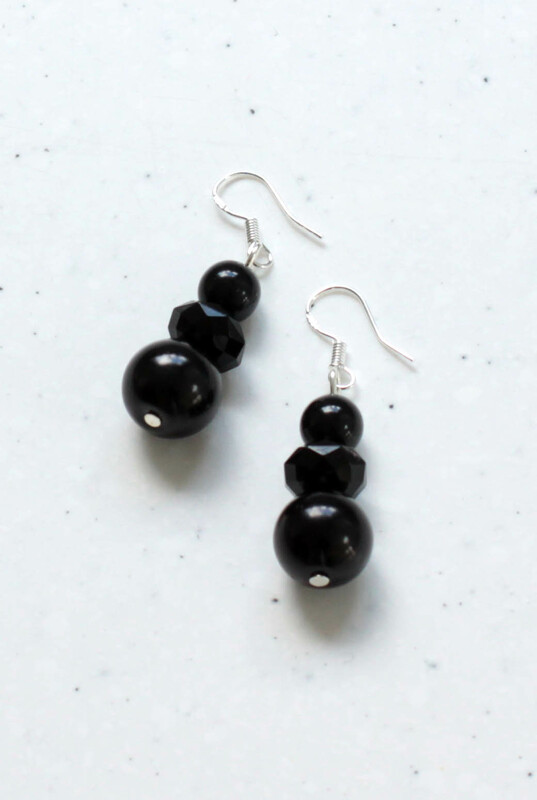 I’ll write a blog about how to make similar earrings in coming weeks. Here is one method of converting cheap studs to better quality metals. This method is really simple but only works well for spherical or cube studs. 1. The idea is to bend the metal from stud to create a loop for the hook. 2. Bend the metal back to a 90 degree angle or so. 3. Trim post if necessary. Grab the end of the metal with the jewellery pliers. 4. Gently work the metal around the pliers to begin forming a loop. 5. 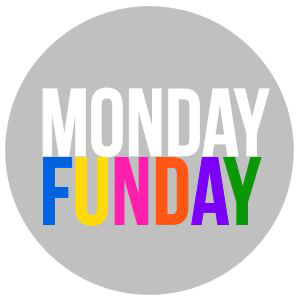 Keep moving the metal around – be gentle as some cheaper metals can be a little weak. 6. Leave a small space in loop for attaching hook. Would love to hear from you. Leave your comments or ideas below, send in examples of your own conversions too – would be happy to feature them here.